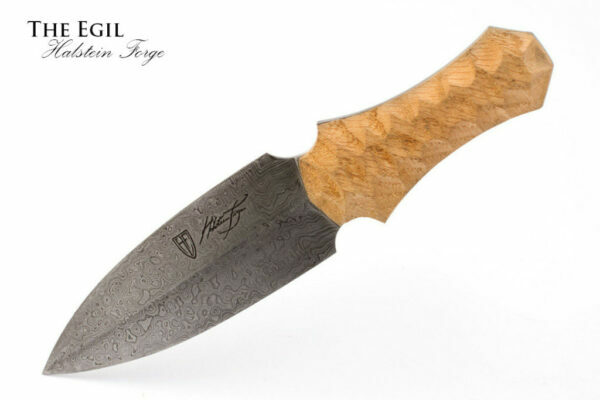 The Bjarke is forged with blend of blend of 1075 and 8670m steel, giving a stunning contrast to the folded steel layering. 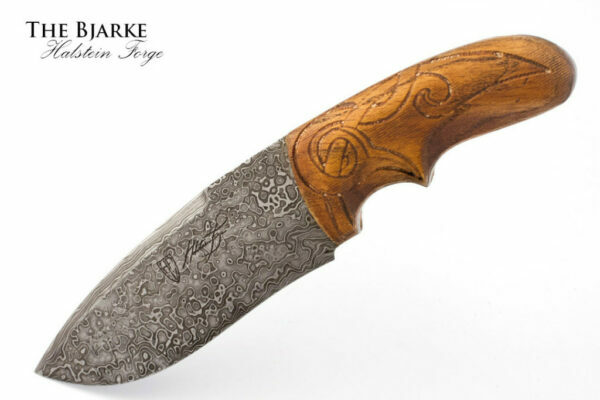 While there are specialized knives for each of the tasks of bushcraft – survival, skinning, woodcutting, general camp chores, and so on – it is unrealistic to plan to carry a knife for every eventuality in the bush. 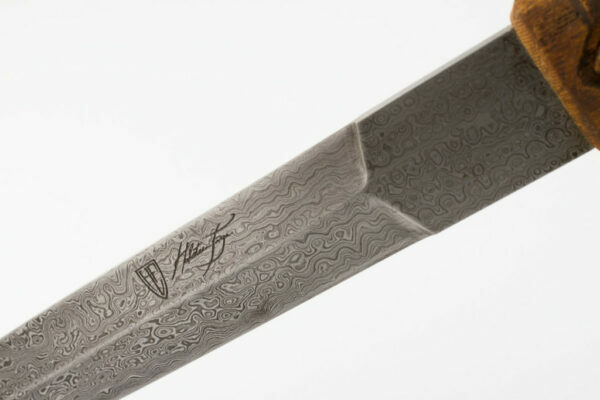 Especially when keeping weight down – having several pounds of steel that you may or may not use in your pack is a recipe for fatigue. 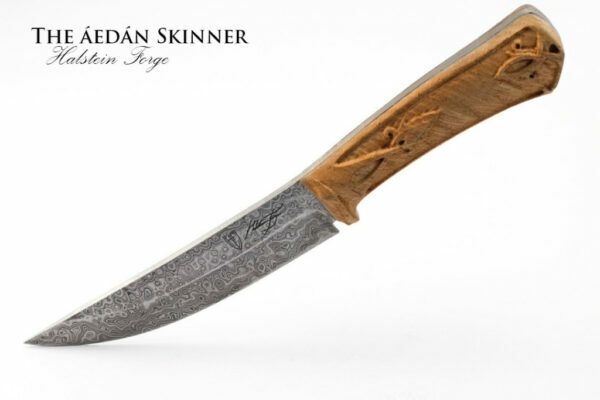 This is why one typically only carries the knife that one is likely to use – a skinning knife when hunting, a survival knife when expecting short excursions only, a tactical knife when hand-to-hand combat is a likely reality. 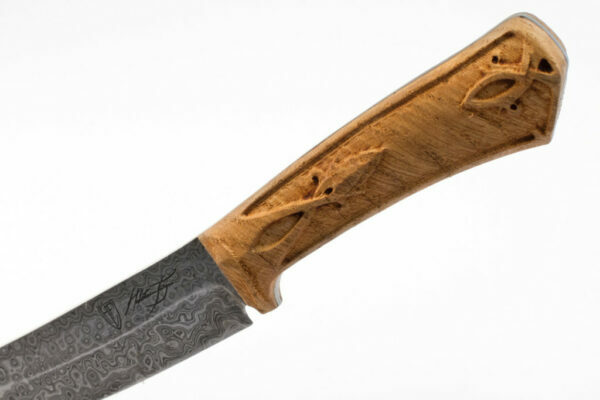 When the future is uncertain or the tasks to come especially varied, though, then it is practical to prepare for the unexpected – and for this, a bushcraft knife is essential. 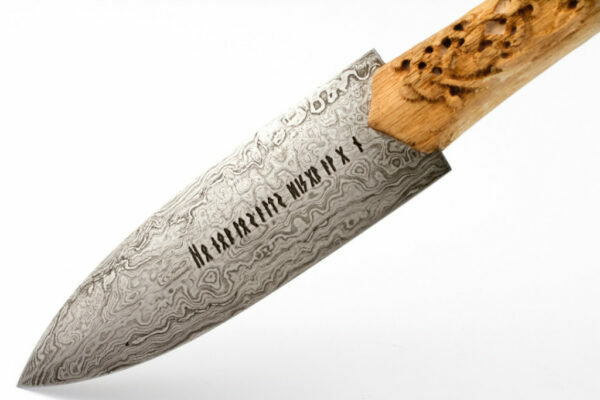 Unlike a survival knife (which is typically meant for emergencies), a bushcraft knife is meant to be a long-term use, multi-task knife. 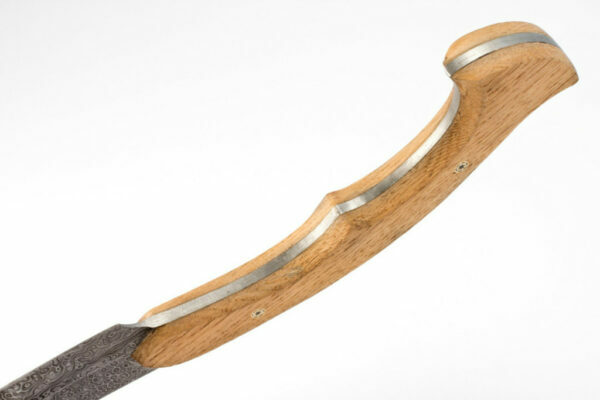 It will be sturdy, capable, and versatile enough to accomplish a myriad of outdoor tasks. 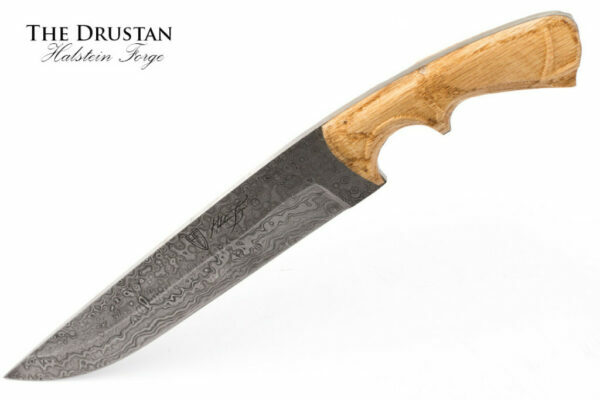 The Halstein Forge Bjarke is a such a bushcraft knife. 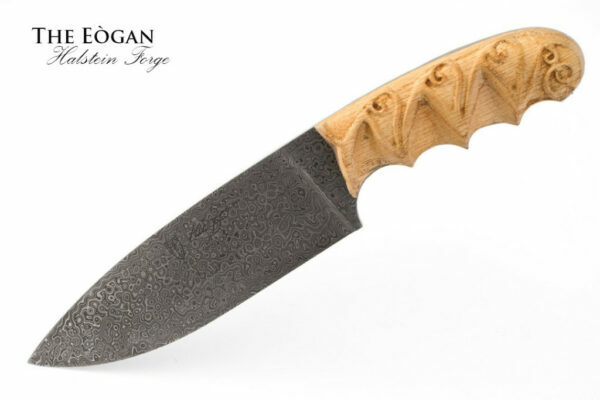 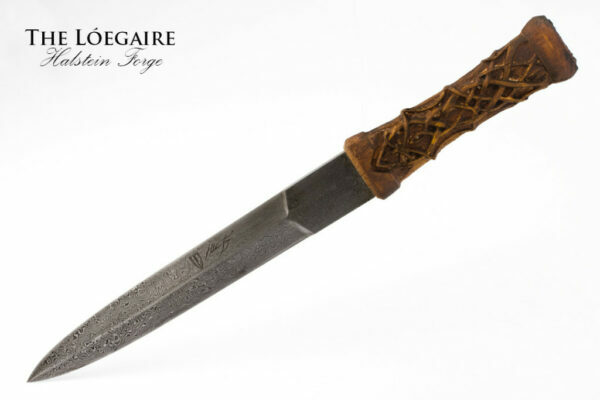 The single edged, drop-point blade is sturdy and well tempered, which is absolutely essential for this type of knife. 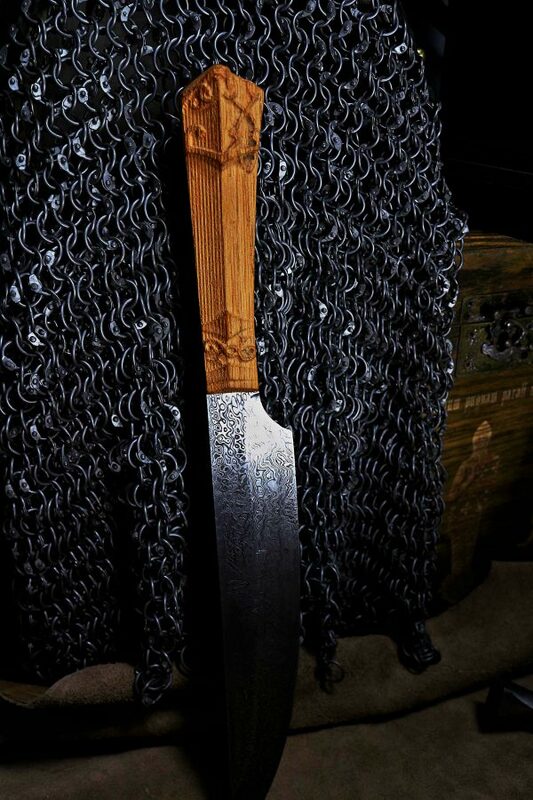 After all, it must be able to stand up to the rigors of extended use away from civilization. 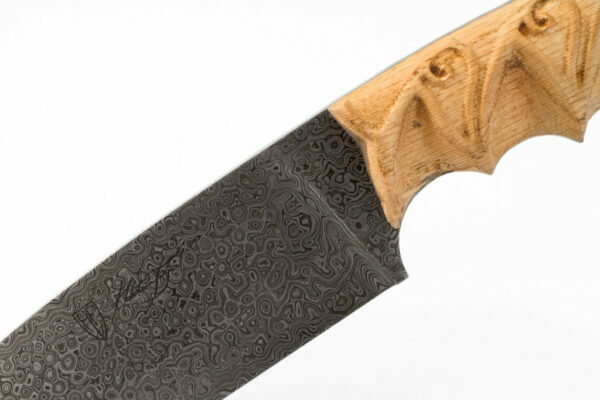 The blade is matched by a thick tang that meets the same standards for solid construction. 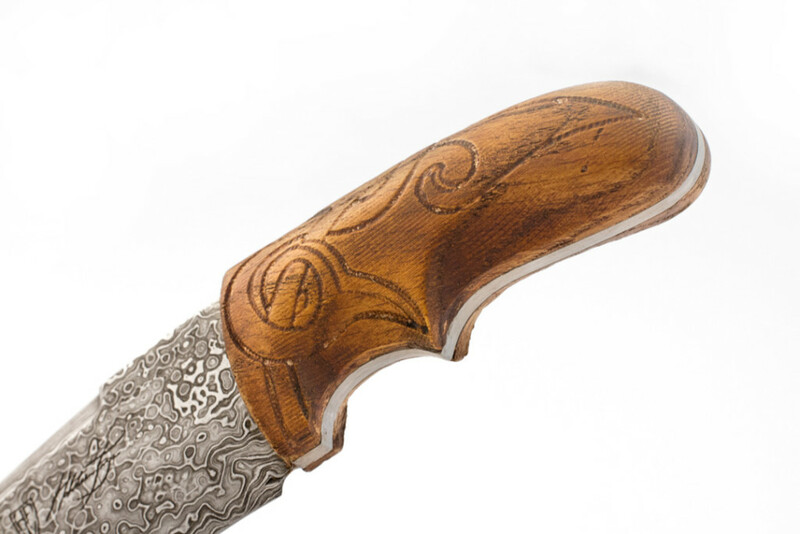 The handle is comprised of two shaped slabs of oak, carved with knotwork inspired by the Urnes Staves Church. 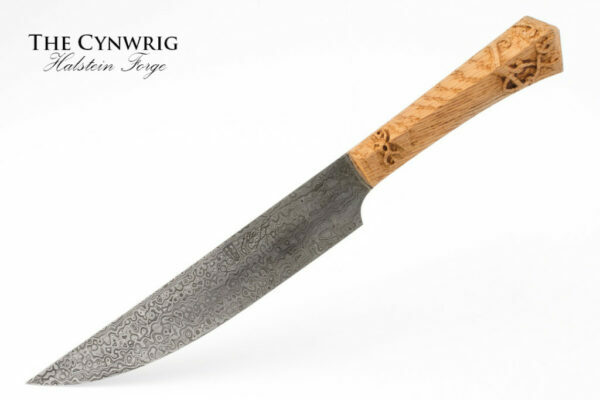 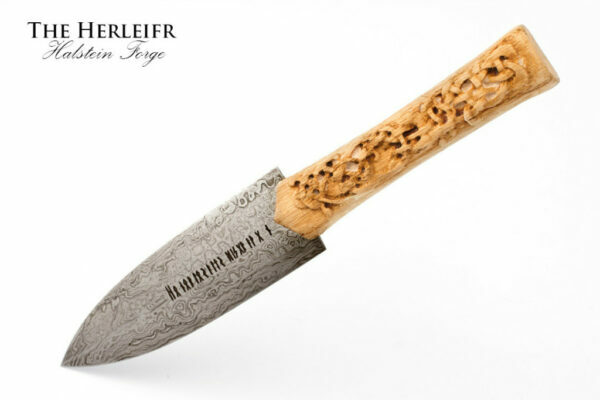 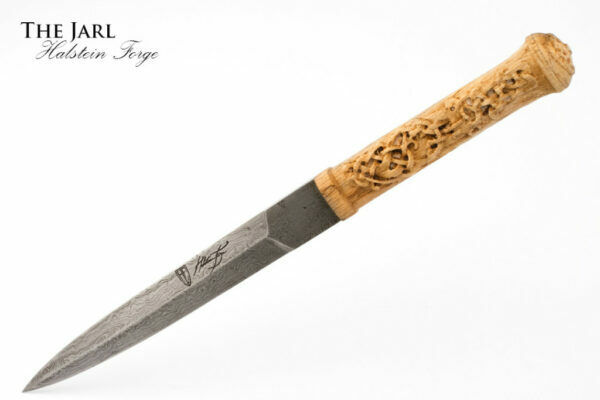 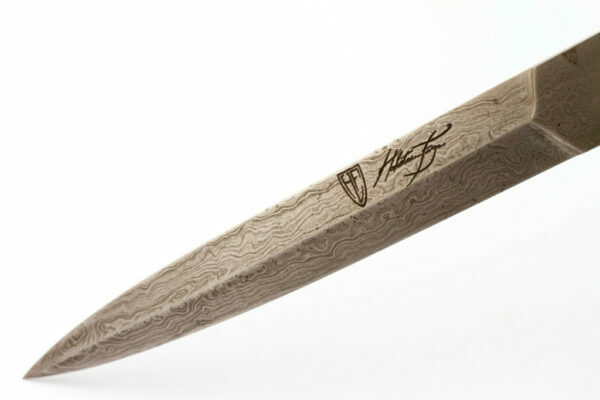 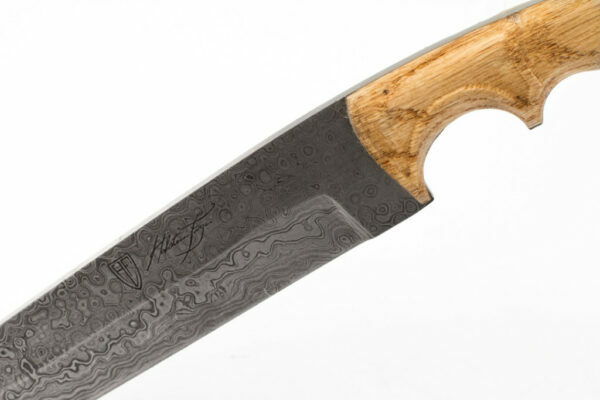 The Bjarke’s Damascus steel blade may be beautiful, but this knife is quite the workhorse. 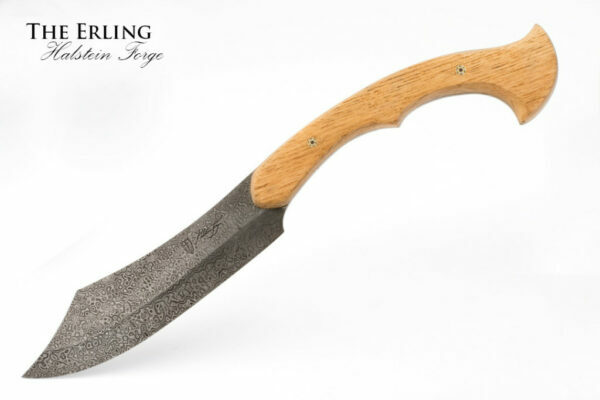 It would be ideal as a personal belt knife for all you bushcraft needs, or as an every day carry (EDC) knife to assist in whatever situation you find yourself in..